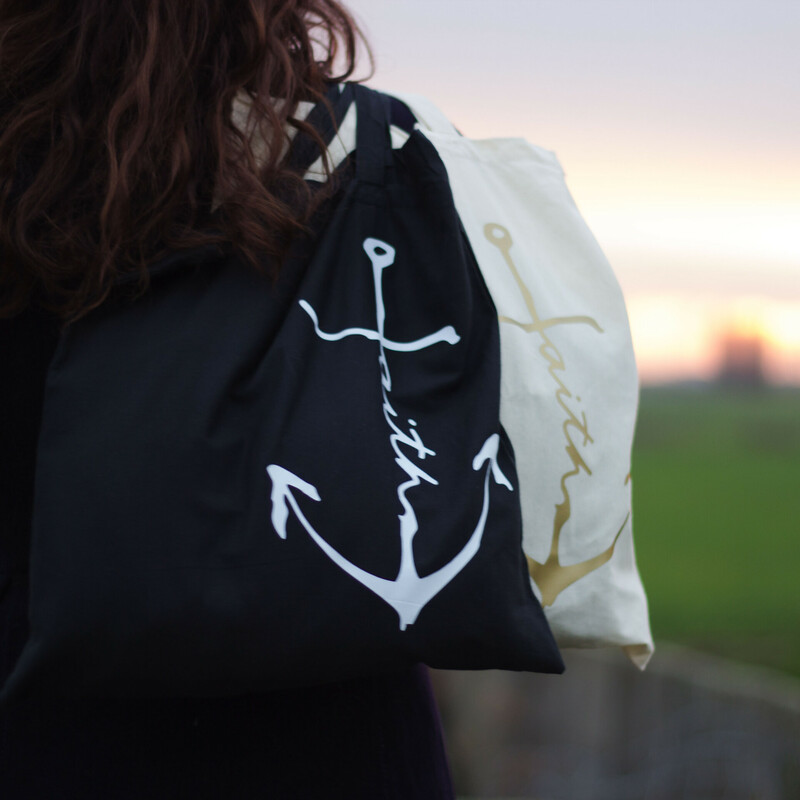 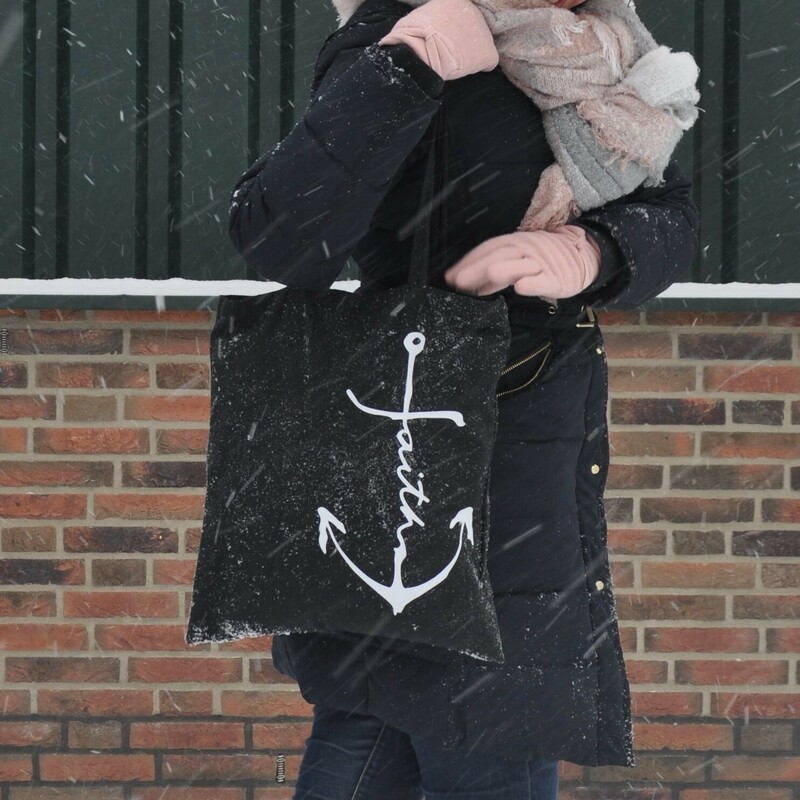 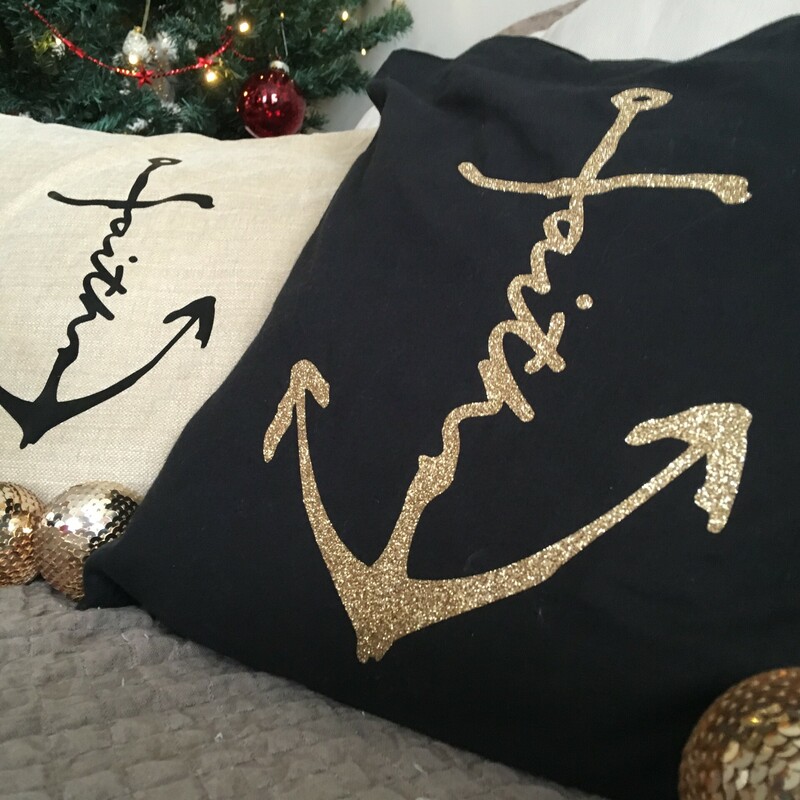 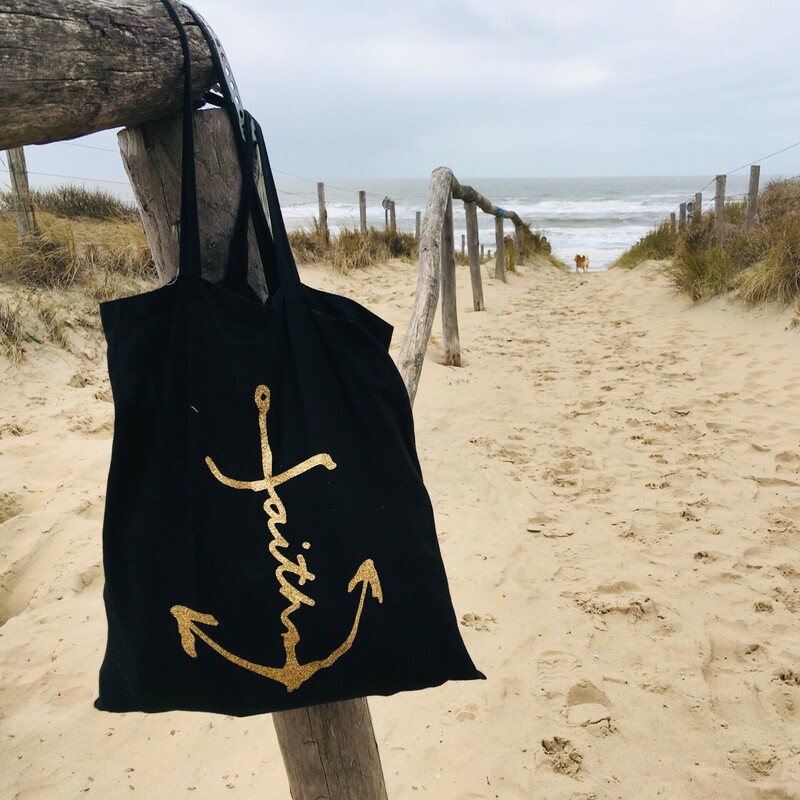 Try the black canvas version with the solid Faith Anchor. 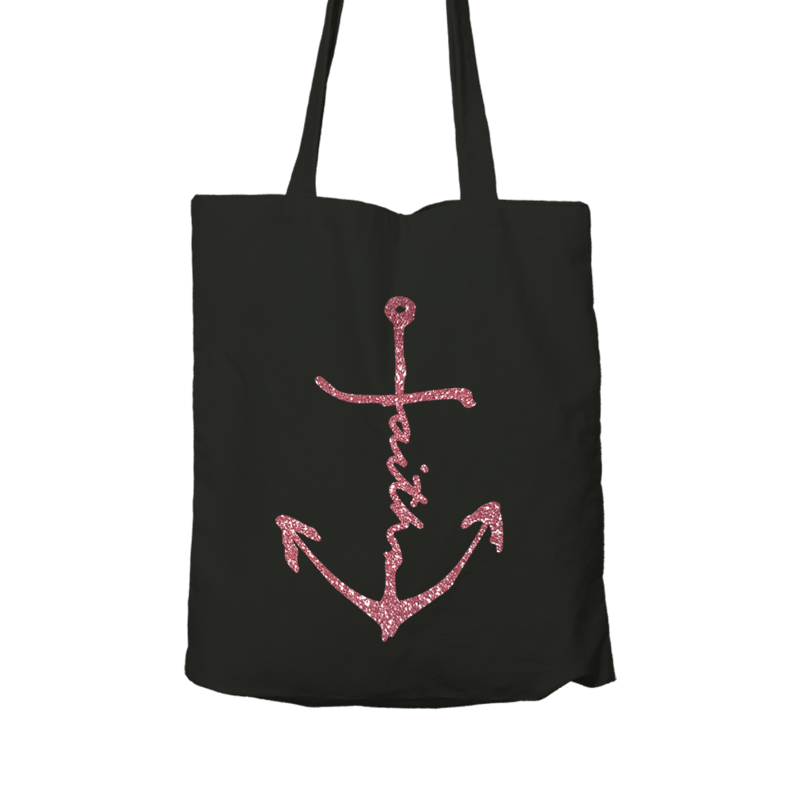 The lighter print colors and the glitters stand out very well on these black bags! 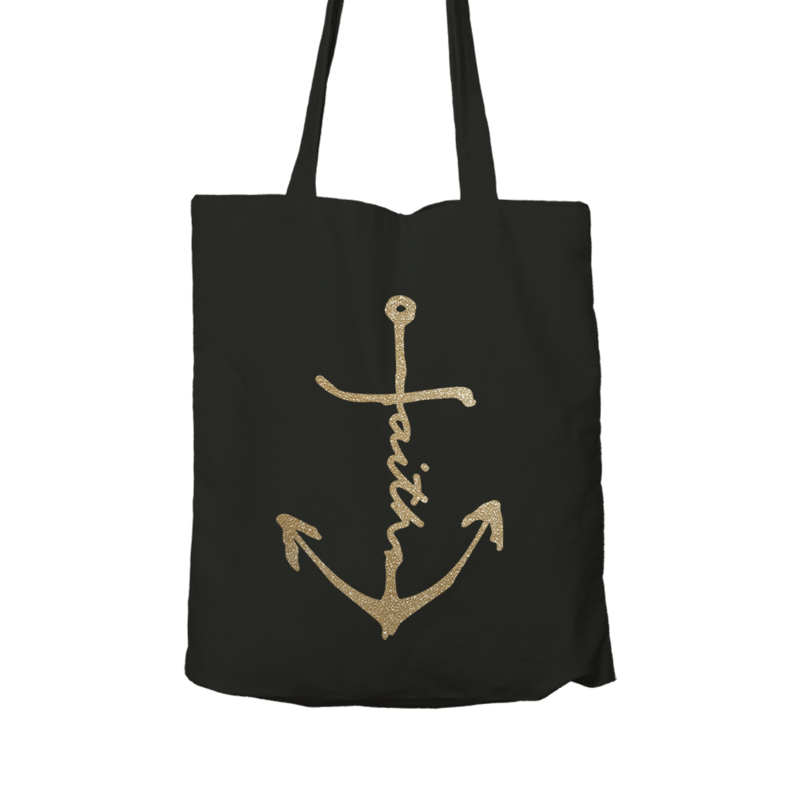 Also availible in a golden or rose golden glitter version!